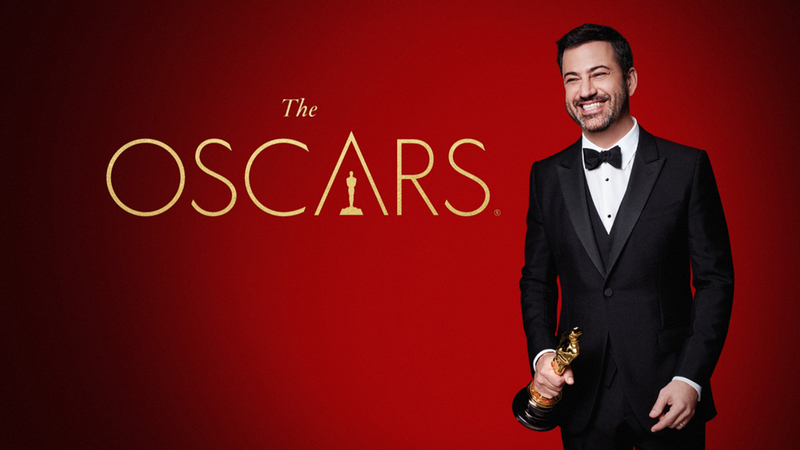 HOLLYWOOD (NEWS RELEASE) -- For a second consecutive year, late-night talk show favorite Jimmy Kimmel will return to host the Oscars telecast, and Michael De Luca and Jennifer Todd will produce, Academy President Cheryl Boone Isaacs announced today. The 90th Academy Awards will air live on the ABC Television Network and broadcast outlets worldwide on Oscar SUNDAY, MARCH 4, 2018. "Jimmy, Mike and Jennifer are truly an Oscar Dream Team," said Boone Isaacs. "Mike and Jennifer produced a beautiful show that was visually stunning. And Jimmy proved, from his opening monologue all the way through a finale we could never have imagined, that he is one our finest hosts in Oscar history." "Hosting the Oscars was a highlight of my career and I am grateful to Cheryl, Dawn and the Academy for asking me to return to work with two of my favorite people, Mike De Luca and Jennifer Todd," said Kimmel. "If you think we screwed up the ending this year, wait until you see what we have planned for the 90th anniversary show!" "It's not often you get two chances to have a once-in-a-lifetime experience and even more rare to be handed the keys to a party 90 years in the making," said De Luca and Todd. "We always thought the idea that anything can happen on the Oscars was a cliché until we lived it." "Our Oscars team this year delivered a show that hit every high note," said Academy CEO Dawn Hudson. "Jimmy brought back the essence and light touch of the greatest hosts of Oscars' past. Mike and Jennifer's love of movies is infectious and touched every aspect of the show. This is the perfect team to lead us into the ninth decade." "After just one year, we can't imagine anyone else hosting The Oscars. Jimmy's skillful command of the stage is invaluable on a night when anything can happen - and does," said Channing Dungey, president, ABC Entertainment. "With Mike and Jennifer at the helm, we're ready for another unforgettable show that will dazzle, delight and, most importantly, honor 90 years of Hollywood's most prestigious award." Kimmel serves as host and executive producer of the Emmy-winning "Jimmy Kimmel Live!," ABC's late-night talk show. Now in its 15th season, "JKL" has earned six Emmy nominations in the Outstanding Variety Series Talk category, the Writing for a Variety Series category, and the Variety, Music or Comedy Series category. De Luca earned Best Picture Oscar nominations for producing "Captain Phillips," "Moneyball" and "The Social Network." He is credited on more than 60 films, including the "Fifty Shades of Grey" trilogy, "Blow," "Magnolia," "American History X" and "Boogie Nights." He is a former president of production at Columbia Pictures, DreamWorks and New Line Cinema. Todd is currently president of Pearl Street Films, the production company founded by Ben Affleck and Matt Damon, where she produced "Live by Night" and executive produced last year's "Jason Bourne." Her other credits include such films as "Alice through the Looking Glass," "Celeste and Jesse Forever," "Alice in Wonderland," "Across the Universe," "Prime," "Memento," "Boiler Room" and the "Austin Powers" films. Todd earned an Emmy nomination for her work on the HBO television movie "If These Walls Could Talk 2." The 90th Oscars will be held on Sunday, March 4, 2018, at the Dolby Theatre at Hollywood & Highland Center in Hollywood, and will be televised live on the ABC Television Network at 7 p.m. EDT/4 p.m. PDT. The Oscars also will be televised live in more than 225 countries and territories worldwide.